THIS IS A STAY & PLAY ONLY RESORT. Known as the "watery challenge," our 6,792 yard Islandside course borders the Gulf of Mexico with water hazards coming into play on all 18 holes. Therefore, accuracy off the tee is essential. Tifdwarf grass on the greens ensures smooth putting surfaces. 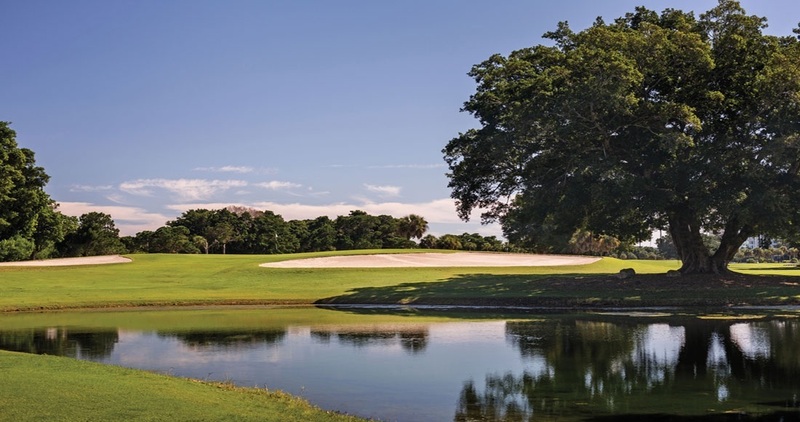 More than 5,000 palm trees and pink and white blooming oleander line the fairways and canals, making Islandside one of Florida's most beautiful courses.